eCommerce web development and designing services have become a necessity in order to drive a huge mass of traffic on your online store. MaitKon is a leading eCommerce development company offers efficacious and memorable eCommerce web design, theme development, shopping-cart, plug-in & module development solutions for small, mid and large-scale enterprises. Delivering eCommerce website design and development services for years, we now incorporate an assemblage of a number of successfully accomplished B2B and B2C projects. We possess a specialist team comprising of top web designers and developers who specialize in Magento and wordpress solutions, consulting, site design, development, marketing, system integration and support. 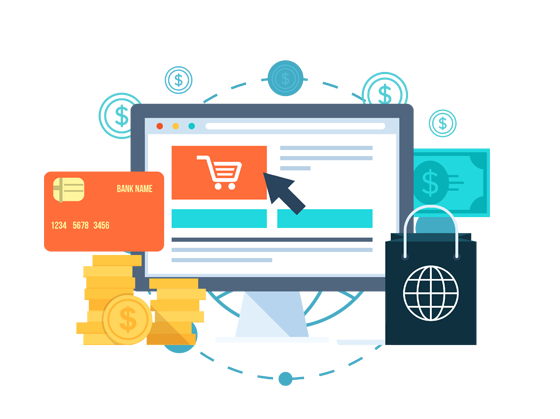 With a number of experienced E-commerce developers and professionals on board, who keep in touch with the current trends of the industry, Evince can elevate your site framework for better performance easily. The company has repeatedly instil a sense of structure to every client’s growing business, and even propelled lesser-known sites to fame and fortune, using its collective expertise of the online world. can work on varied platforms and features all the business-centric aspects. MaitKon offers tailored E-commerce solutions that cater to the diverse needs of its potential clients. The various years put into practice in the field, signify well for the company and assure on-time delivery and absolute contentment on the deliverables. Setup your online store on a manageable, user friendly and feature-rich platform: OpenCart. We provide opencart design/development services for B2B & B2C portals, online marketplaces and auction websites. We are specialized in building, customizing and implementing WooCommerce platform for diverse industries including B2B & B2C portals, online marketplaces and auction websites. Our Shopify development and customization services are your ultimate solution for a stunning, money-yielding online store. We provide customized Shopify store development, theme development, API development, and migration services.